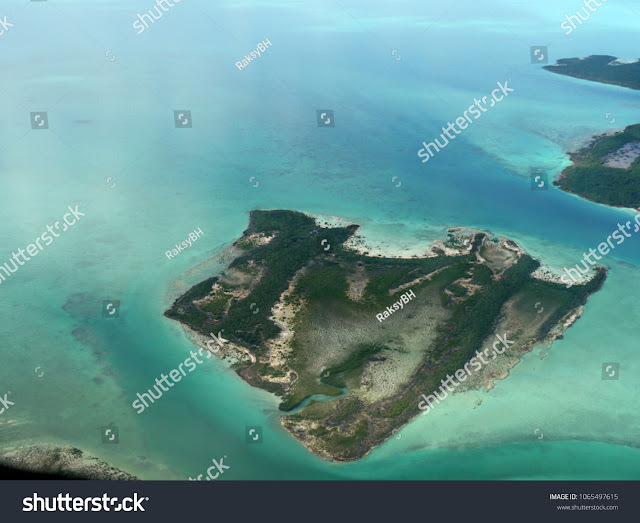 One of the most beautiful districts of the Bahamas, Exuma, or the Exuma Cays, still remains one of the most secluded places. Very few people actually know about Exuma, and it is one of the best places to be if you want to spend your vacation away from the crowd. With 365 cays, Exuma is the perfect place to experience a calm and quiet island vacation. There are a number of luxurious Exuma house rentals available which you can book before you go, and you can be sure that you will have a memorable experience. However, before you book your tickets and head to Exuma, there are a few things that you have to know about the place. If you are one of the people who is hearing about Exuma for the first time, do remember the following things while going for a vacation to this picturesque island destination. As Exuma sees very little footfall from tourists and it is not very well known, the connectivity of the place with the rest of the world is not as well established as we would like to. Despite being situated just off the coast of Miami, you will only find a few direct flights to this place every day. It is very likely that you might need to book a connecting flight to Exuma via Miami. Then you will have to spend a night at Miami and then fly out to Exuma the next day. Do remember to book your ticket well in advance, so that you can figure these things out and plan you're itinerary accordingly. If you are looking for a hassle-free and easy going island vacation, the staying at Great Exuma will be the safest option for you. The other cays are much less populated, which can create some problems. Great Exuma is the largest of the cays and is home to the capital Georgetown. There are a number of beaches, tourist spots and dining options for you to choose from, and you will not run out of options while you are here. Great Exuma might look like a small island, but it is not as small as you think. Many people underestimate Great Exuma for its size. However, it is simply a necessity to hire a car to get around this beautiful island, unless and until you are planning to never leave your luxurious villa. Rent a car for yourself to explore the various attractions this island houses, try the local delicacies at different restaurants and spend each day on a different beach. Also, you can go for a day trip to Little Exuma and check out the wonderful beach bars and cafes they have out there. The swimming pigs are one of the most popular tourist attractions in Exuma. You cannot afford to miss the chance of meeting these cuties while you are here. To meet the original swimming pigs, you’ll have to sail to the Farmer’s Cay. However, if you want a shorter boat ride, the biggest tour operator in Exuma has their own little pet swimming pigs. You can book a meet up with these cute little pigs through them too. Exuma is full of wonderful sites and cays, and the best way to experience them is by going on a boat tour. A lot of tour operators arranges boat excursions covering the various attractions in Exuma on a daily basis. You must go on one of these tours during your vacation to experience the fun of zipping through these picturesque cays and see the numerous attractions you can find there. Exuma houses some of the best snorkelling spots and some of the most wonderful coral reefs in the Bahamas. It is also known as the place where you can find ‘the bluest water on earth’. That is why snorkelling at Exuma is an experience which you must not miss while you are here. Explore the magnificent underwater world and its colourful inhabitants while you spend your time in Exuma. Everything you find in Exuma runs in island time, which means everything will be much slower than you are normally used to. A dinner can take up to two to three hours, services also take a lot of time and don’t expect every shop and restaurant to be open every day. Chat n’ Chill is the most popular beach bar you can find in Exuma. More or less everyone in Exuma visits this bar at Stocking Island to drink some cocktails and spend some time relaxing. However, Sunday is the best day to visit this bar. They organise a Sunday pig roast every week and all the tourists and locals flock over to this bar during Sundays. You will get to taste some amazing food, meet some wonderful people and spend some beautiful time while you are here. Exuma is not particularly known for its fine dining scene, and chances are, that you will simply be overpaying for some mediocre food, if you choose to go to a place which claims to offer a ‘fine dining experience’ in Exuma. Try out the local joints and street food while you are here to get a true taste of the island life. You will have really limited options for shopping while you are in Exuma, especially if you are looking for souvenirs. The capital of Exuma, Georgetown will be your only option in that case. You can find some beautiful locally made gifts and souvenirs in the Straw Market. There are a few other shops spread across the town when you can buy some gifts.